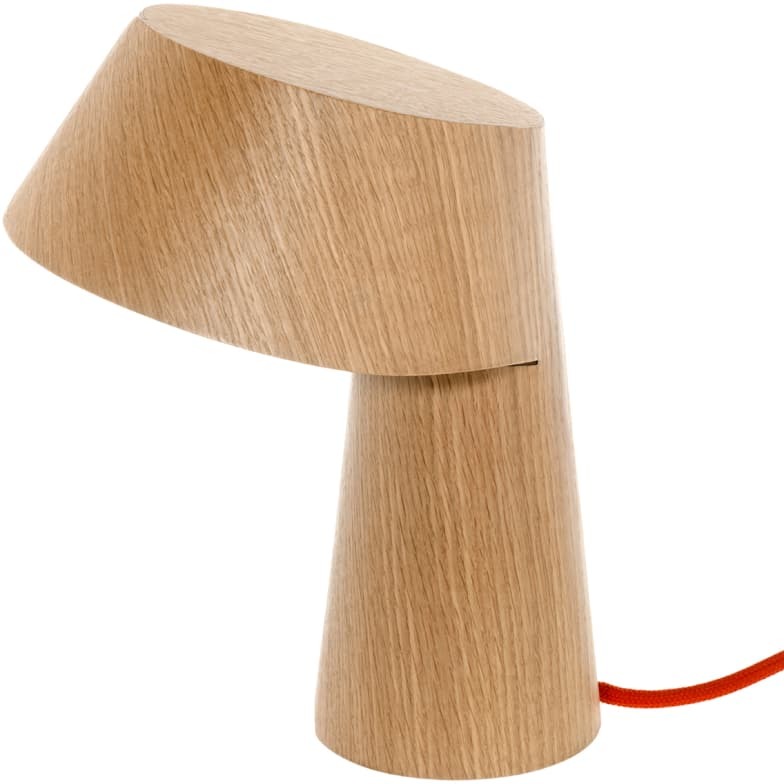 Elegant LED table lamp made of hand-glued real wood veneer. Perfect lighting. LITTLE P provides the perfect ambient lighting for entrance areas, living spaces and bedrooms alike. Its shade and base are made of a single piece of multi-layered, hand-glued real-wood veneer. LITTLE P is available in either natural, clear-lacquered oak or open-grained oak in a choice of matt paint colours, from subtle to neon. It is fitted with an LED light and a braided cable in black, grey or red for a touch of colour. The switch and plug are black. Alone or as a pair, LITTLE P is all about clarity and consistency. Do you have a question about "Little P"? How can we contact you?